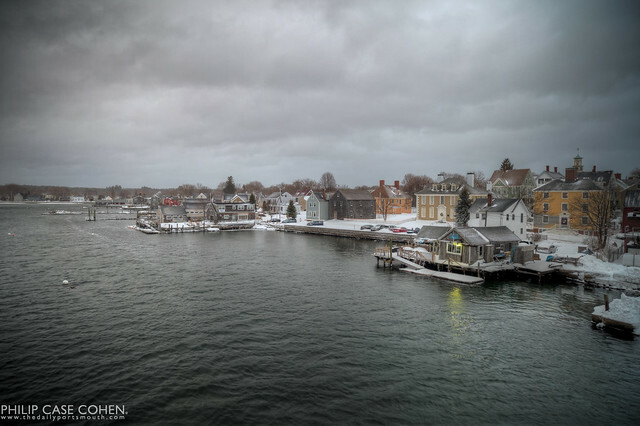 After the blizzard came and went last week, the wind calmed down somewhat and the skies remained overcast…but the sense of calm after the assault of the snow and sleet was a welcomed feeling. This lone green light at Brewster’s Bait and Tackle adds an element to the otherwise typical shot that I wouldn’t be as excited to post. Hope you enjoy!